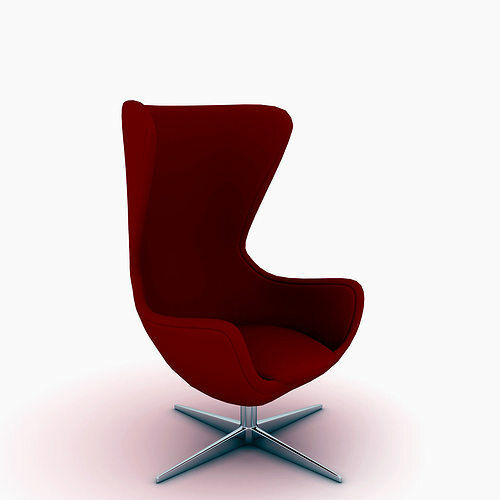 Original design armchair EGG Arne Jacobsen introduced the world in 1958. EGG chair was designed for the hotel Royal Hotel (today Radisson Blu Royal Hotel), for those who want to be in a hotel room was the most stylish and modern. Since then, the seat has become synonymous with Danish furniture design throughout the world. Shape EGG chair is ideal for privacy and relaxation, it can be used as a seat for staff chair for conference halls and meetings, or simply as a chair for the home. EGG chair appeared in the garage Arne Jacobsen from plaster, and today it is made of quality materials and fabric upholstered kozhzamom. At the time when he worked with Arne Jacobsen chairs and other furniture designers made from bent pipes and considered it futile ideas, but Arne Jacobsen went to his goal by creating a chair EGG is considered a national treasure of the country. After 50 years, the chair is something more than just a designer armchair, it is removed in advertising and film, set in the most famous offices and companies in modern homes.